the Parliament House and announced joining Pakistan Tehreek i Insaf (PTI). The Senator from FATA was accompanied by his father, Bismillah Khan, a former MNA. a statement issued by Prime Minister Office said. 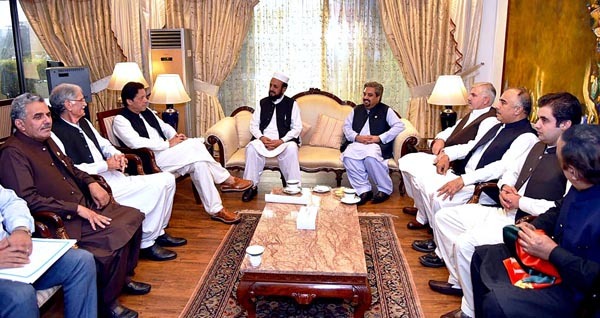 Chief Minister Khyber Pakhtunkhwa Mahmood Khan and central and provincial office bearers of PTI were also present during the call on.